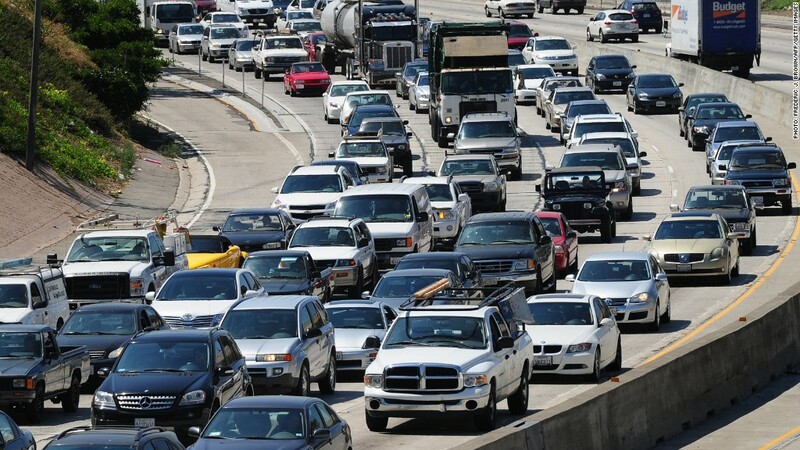 Over a half a million Americans travel more than 50 miles and 90 minutes each way to work -- dubbed 'megacommutes' by the Census Bureau. Think your commute is bad? Try being one of the 600,000 Americans who travel more than 90 minutes each way over a distance of at least 50 miles to get to work. Dubbed "megacommutes," these trips are concentrated mostly around large cities -- especially New York, Los Angeles, San Francisco, Washington D.C., and New Orleans -- according a new U.S. Census Bureau report. Just under 1% of full-time workers make that kind of trek. The average "megacommuter" is more likely to be male, older, married and higher-paid than the average worker. They're also more likely to leave for the office before 6 a.m.
Just over 8% of full-time workers -- almost 11 million people -- had merely "long commutes" that took over an hour each way in 2011, according to the report. New York had the highest percentage of people making these long commutes, at 16% of its workers. Next came Maryland and New Jersey, at about 15% each. Of those long commuters, 61% made the trip alone in a car or truck. Twenty three percent took public transit, 13% carpooled, and 3% rode a bike. Just because a commute is long doesn't mean it's bad, though. Many of the places with the longest commutes are also areas where residents can take the bus or train instead of driving. "In some places, people are trading minutes for comfort or less stress," said Brian McKenzie, a commuting analyst at the Census Bureau. For commuters in general, 80% drove, 10% carpooled, and another 5% each took either public transit or rode a bike. The average commute time for all full-time American workers was 25.5 minutes each way. Despite anecdotal reports of people traveling further from home to find work during and after the recession, both the average commute time and the number of people traveling 60 miles or more has stayed relatively stable over the last 10 years, the Census data shows. That's consistent with other research that has found declining congestion on American roadways over the past few years.